It is possible for instructors to track viewing statistics for both eClassLive sessions and recordings. There are several levels of tracking ranging from basic views in credit courses for CCID users to back-end counts of accesses of guest users for non-credit, public webinars, and recordings. You can view all the names of students who have accessed the recording(s) of a session by clicking the List button in the Viewed column to the right of each recording. 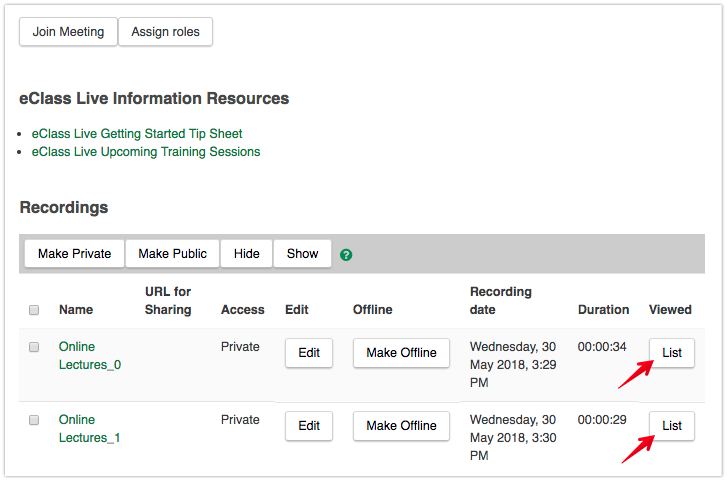 If you have recorded a session, you can see the names of all students identified by their first and last name in the participants panel when viewing the recording. For more detailed statistics regarding student access of sessions such as length of time of access, logon and logoff time, etc., you can follow the steps listed below. Go to eClass and launch your eClassLive session (you must do this through eClass to get the correct permissions on the eClassLive server). Under Meeting, select Manage meeting information - this will sign you on to the eClassLive information page for your session. Selecting the Reports link will give you access to the session statistics. Click on the Summary tab within Reports to see a count of all the sessions run through a particular meeting and the peak number of users. Click on the By attendees tab within Reports to see a list of all the users (CCID and guest users) who have ever attended the session and the times at which they joined and left the session. Click the By sessions tab within Reports to see details about each specific session run in the meeting including the start and end time as well as the number of attendees. Click the By questions tab within Reports to list any poll questions asked during sessions as well as individual responses to questions. Counts for recording views are a bit more complicated to obtain. 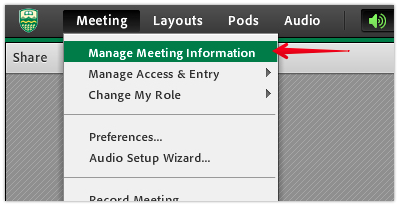 Click the Recordings tab from the Meeting information screen. Select the desired recording to get statistics on from the list of all the recordings that have been saved for a particular meeting. 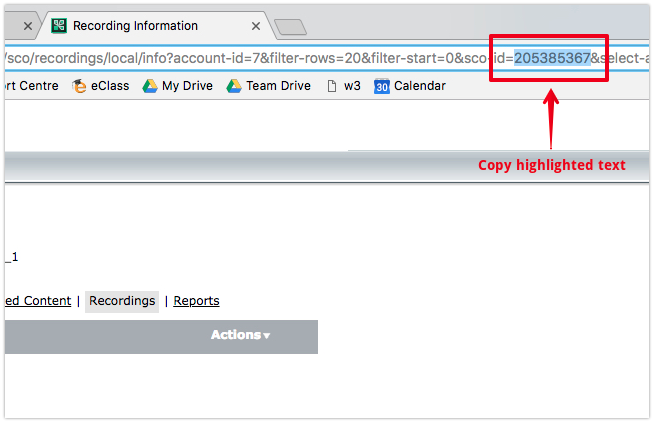 Copy the numbers just past the "sco-id=" in the url address of your browser. Open a new tab in your browser and enter the following url: https://connectuat.srv.ualberta.ca/api/xml?action=report-sco-views&sco-id= and then add the sco-id copied from step 3. This will list all the views of that recording including both CCID and guest users.